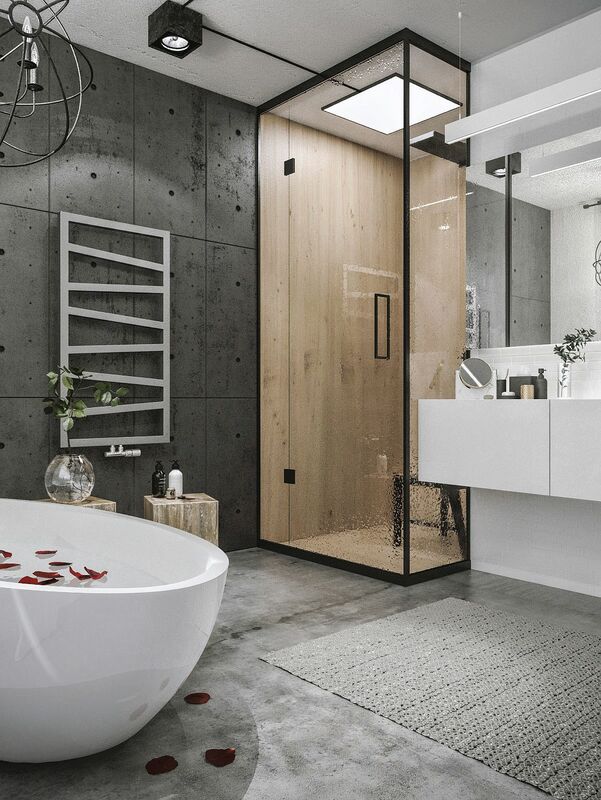 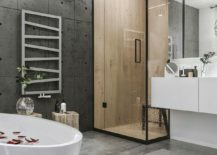 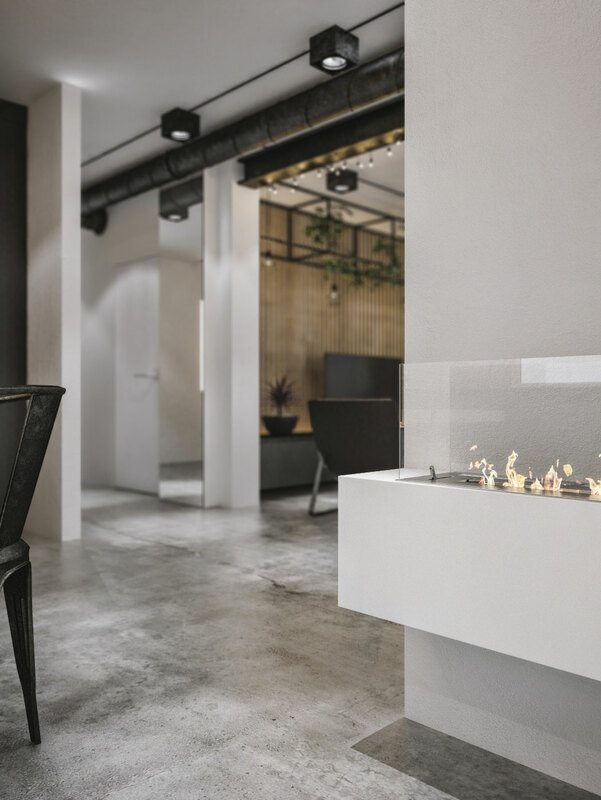 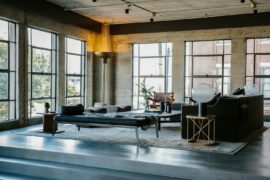 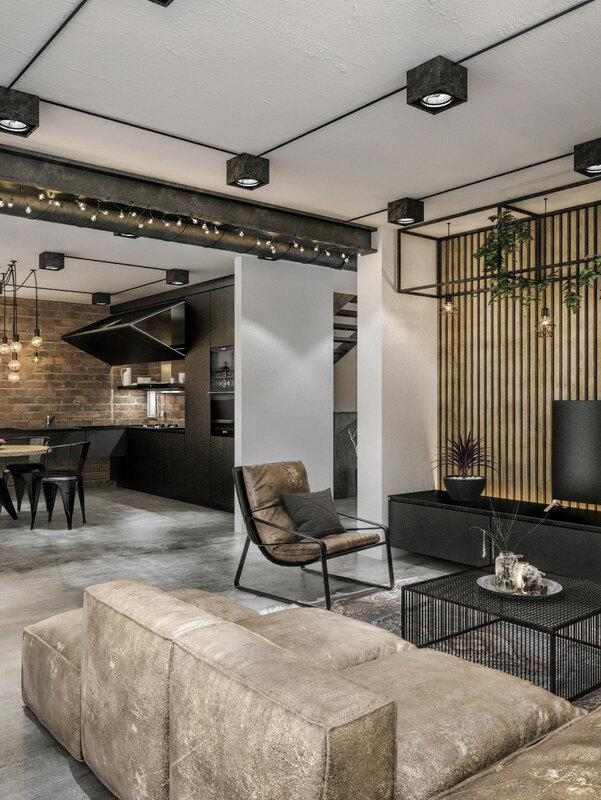 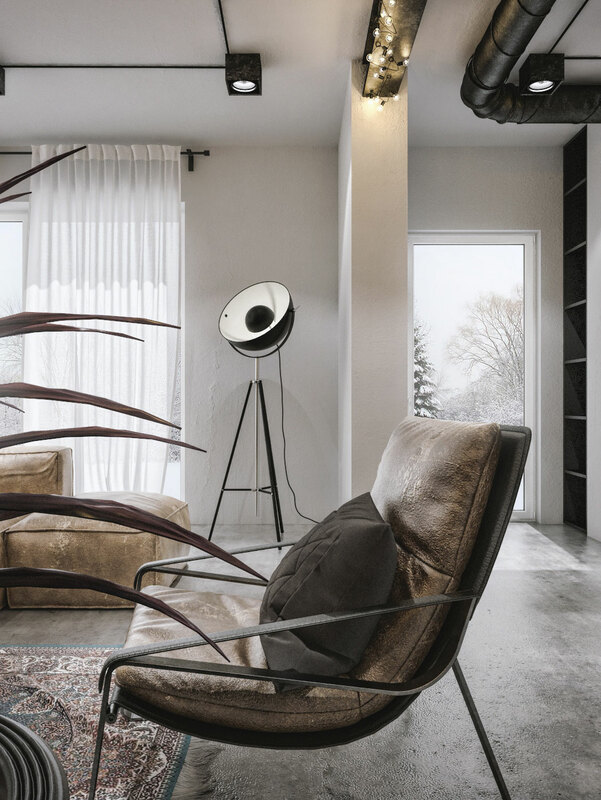 If you love industrial style coupled with modern comfort and carefully curated aesthetics, then you are bound to instantly fall in love with the gorgeous Modern Loft in Kaunas, Lithuania. 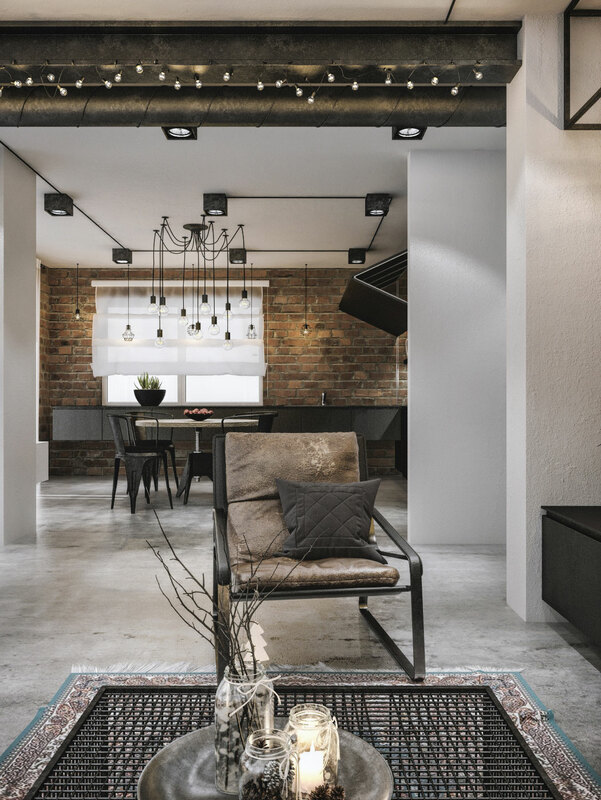 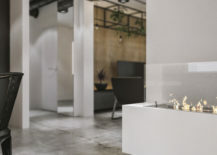 Nestled in a city that sees the two biggest rivers of the country unite along with a wide range of cultural influences, the loft was transformed by Idwhite keeping in mind both the heritage of the building in which it sits and the aura of the city itself. 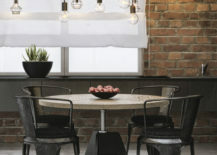 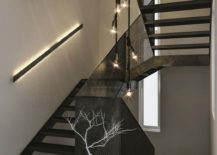 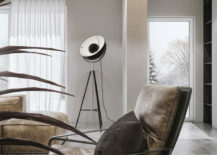 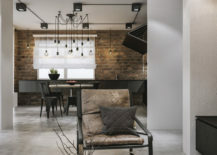 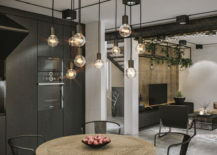 Step in and you will instantly notice the modern industrial style of the home, with its own unique twist coming in the form of lovely Edison bulb lighting fixtures. 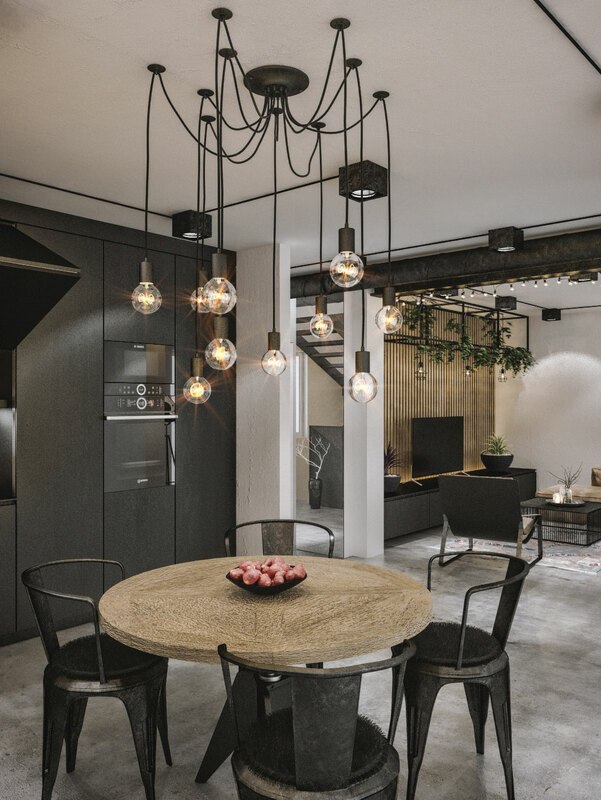 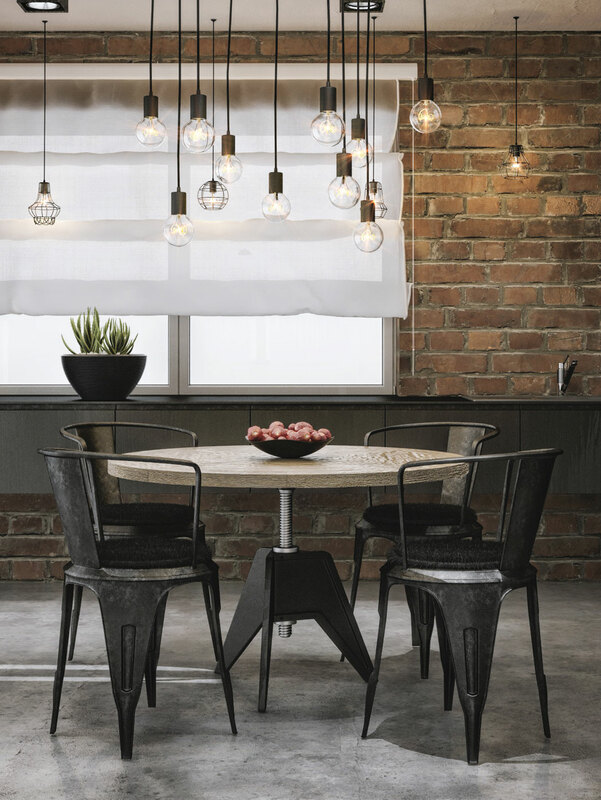 Wrapped around ceiling beams and illuminating both the dining area and the stairwell in the form of sparkling chandeliers, these Edison bulb fixtures steal the show both with their design ingenuity an unparalleled simplicity. 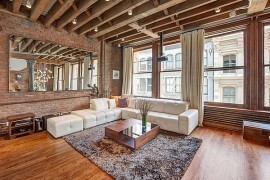 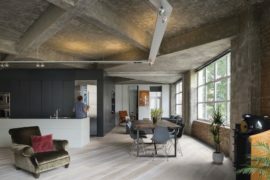 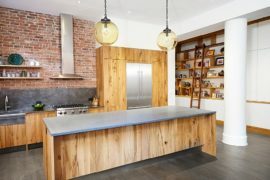 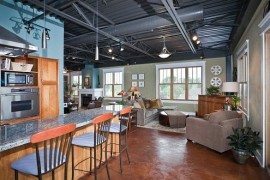 The open living area on the lower level with its exposed concrete walls, high ceiling, wooden accent wall behind the entertainment unit, and the brick wall in the kitchen showcases plenty of contrast. 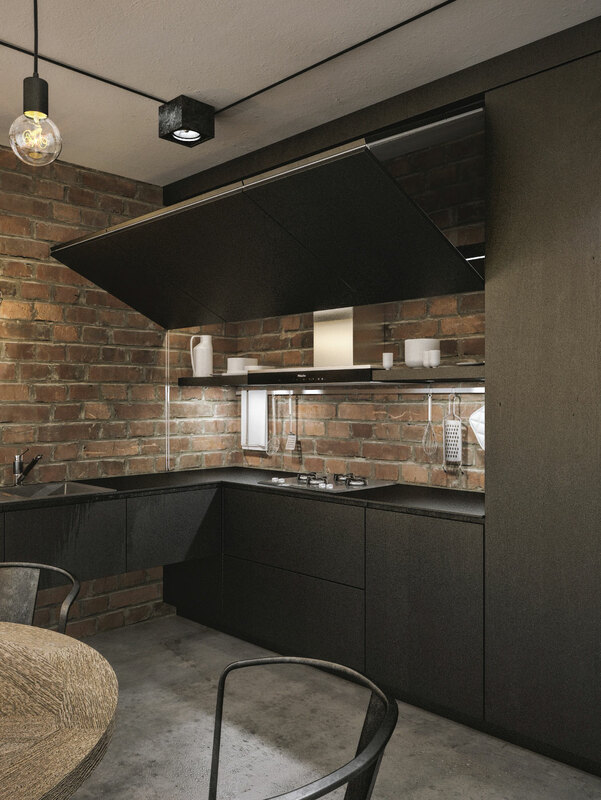 The kitchen in the corner maximizes space, even as the dining area ends up becoming the showstopper of this level. 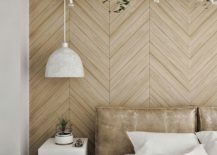 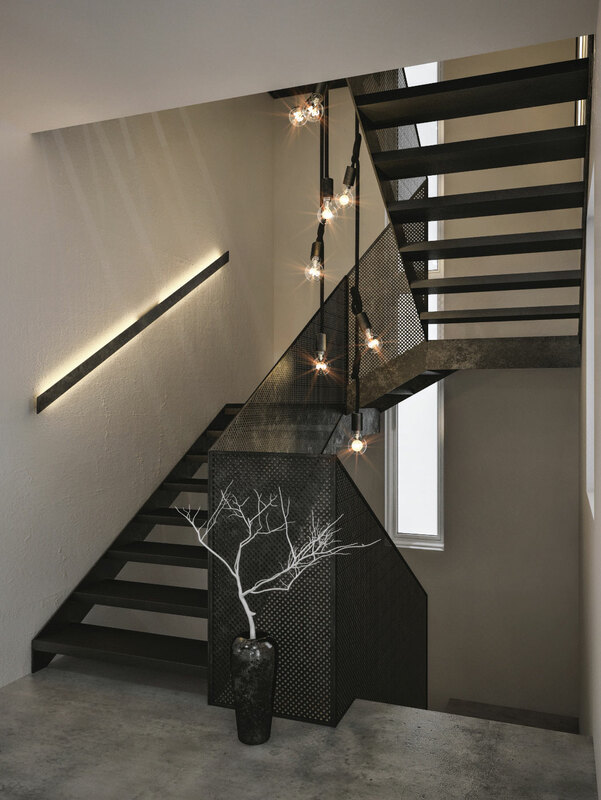 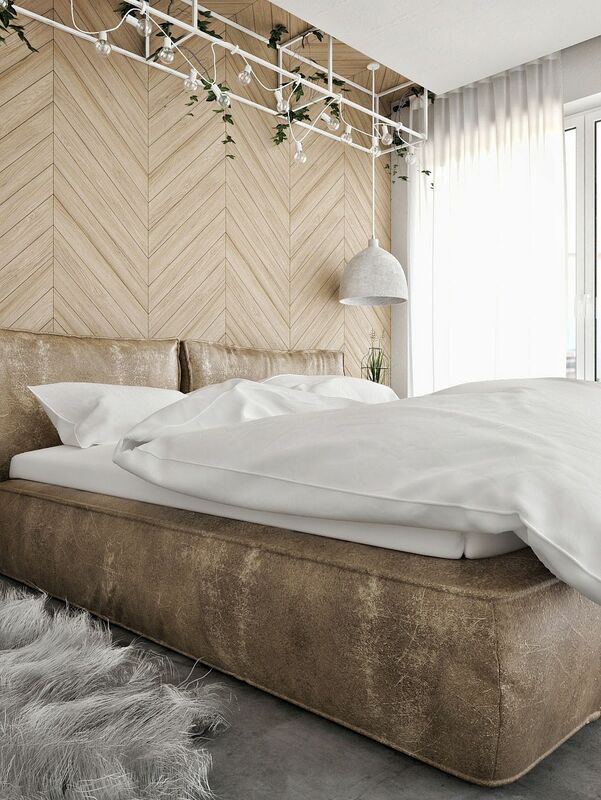 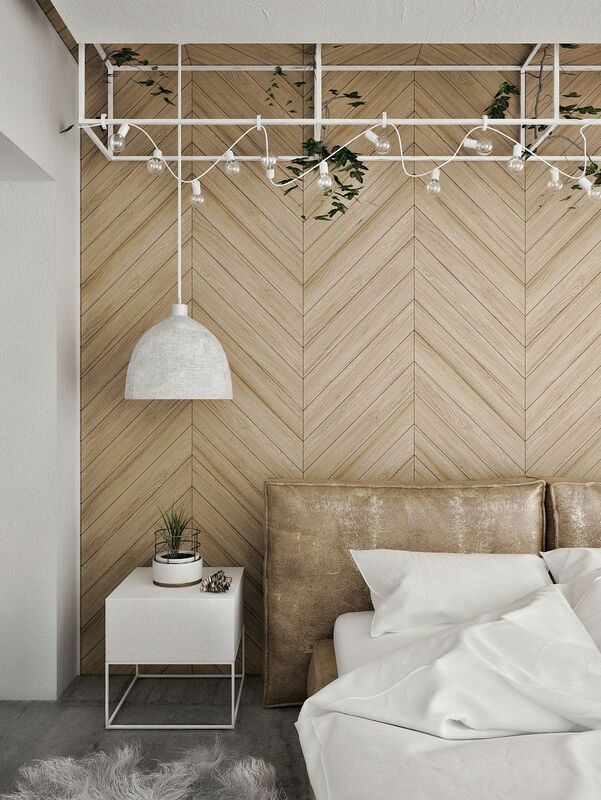 A metallic stairway leads you to the top floor that houses the exquisite master bedroom with its chevron headboard wall and imaginative lighting. 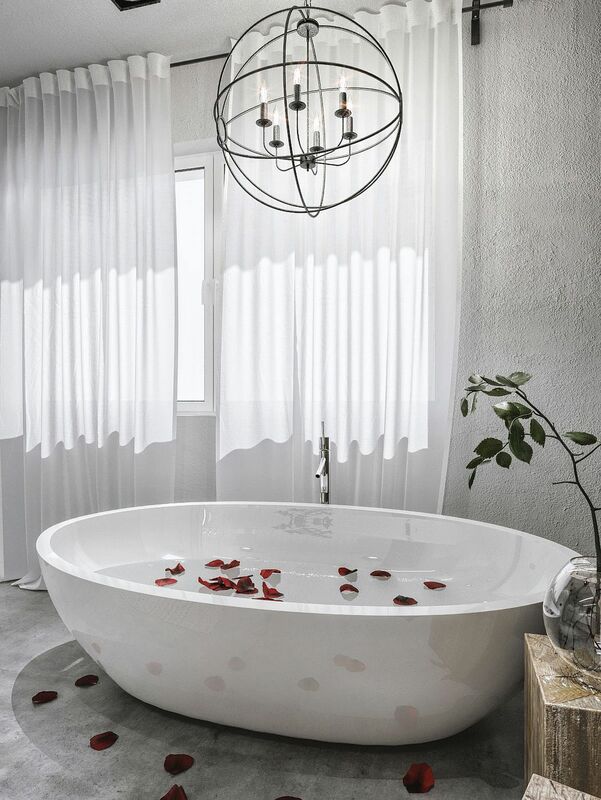 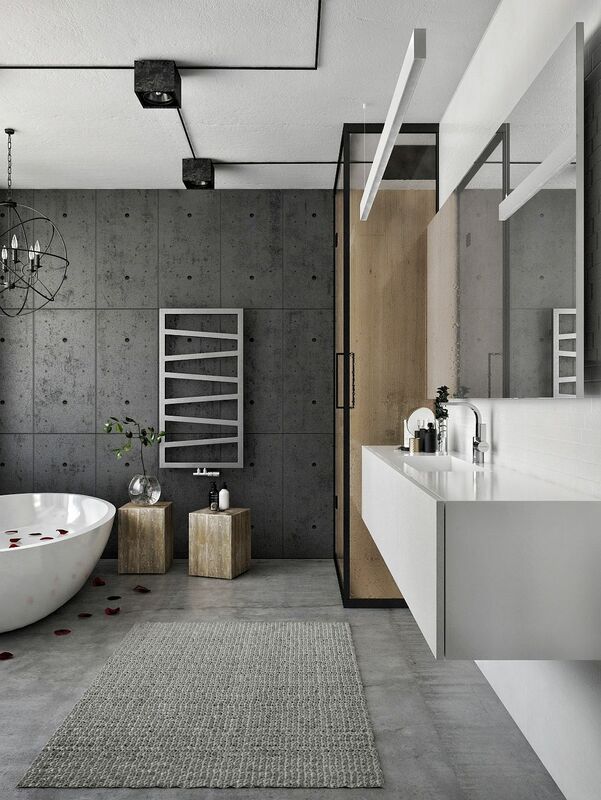 A spa-style bathroom and additional bedrooms complete a loft that is both welcoming and a touch ‘edgy’ at the same time. 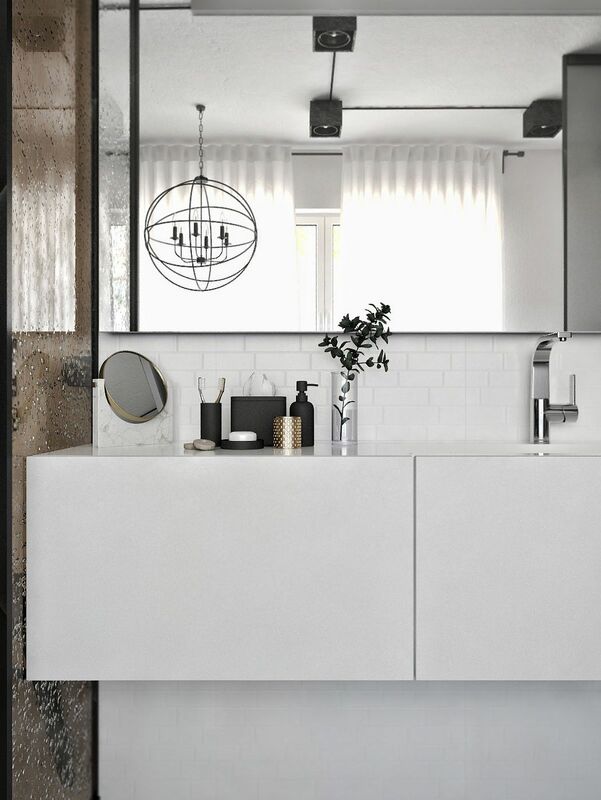 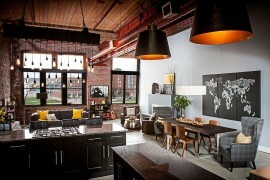 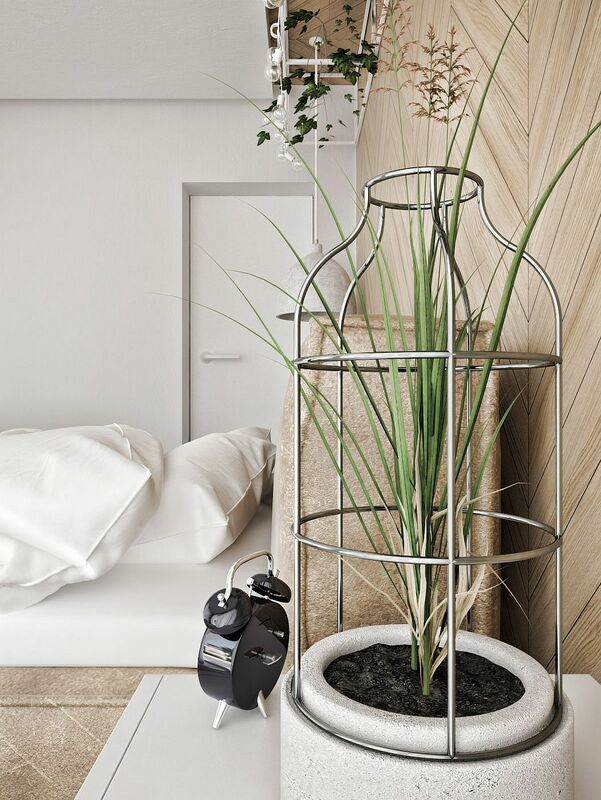 RELATED: 36 Dashing Industrial Bedrooms That Bring Home Trendy Refinement!